FRESHWATER LAKEFRONT HOME - SEAWALL - ASSESSMENTS PAID! Enjoy this waterfront home situated on Shamrock Lake! Peace, serenity, watersports, and fishing can be enjoyed from your own backyard. 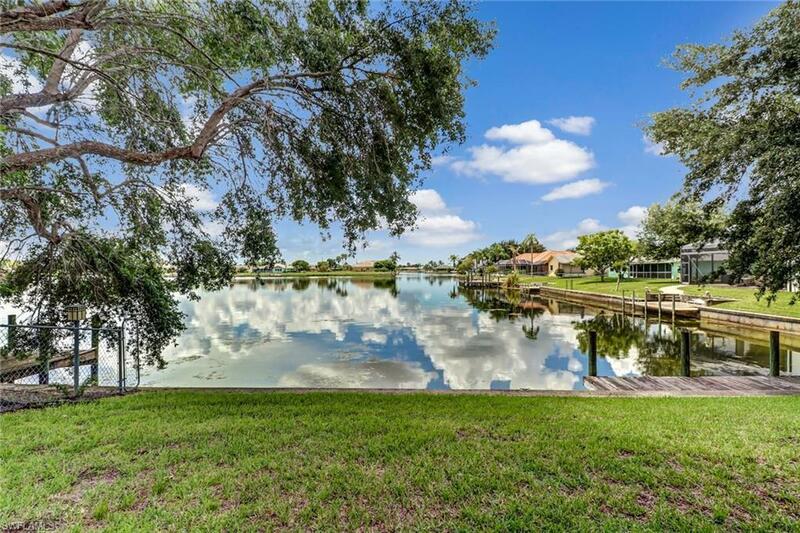 This home features an extended screen lanai (54x27) with an outdoor kitchen perfect for entertaining or enjoying the tranquility of the lake. This home has beautiful custom made built-in cabinets in the updated kitchen and living room that have adjustable lighting throughout. The large master suite has an additional room attached which can be used as a study or sitting room. Built in cabinets in the closets allow for maximum storage. The custom draperies and banquette seat in the kitchen give the home a dramatic appeal. The Dining room, and two guest bedrooms offer plenty of space for family or guests. New outside A/C unit 2015. Come discover your "Peace" of Paradise!